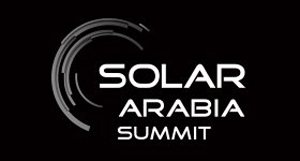 Patriot Solar Group is excited to announce its participation in the Third Annual Solar Arabia Summit. The summit will host up to 250 solar project holders from across Saudi Arabia. The event aims towards efforts to connect with renewable energy providers from around the globe. Saudi Arabia has committed to investing approximately 109 billion US dollars toward implementing renewable energy resources within its borders over the next 12 months. The Solar Arabia Summit will include personal meetings with pre-qualified project holders, over 16 hours of networking with industry leaders, exhibits showcasing renewable energy provider solutions, and debates held by global experts pertaining to the challenges of the sustainable energy sector. The Solar Arabia Summit will take place September 29th to the 30th and is to be held at the luxurious Al Faisaliah Hotel rooted in Riyadh’s Olaya District. For more details Click Here.